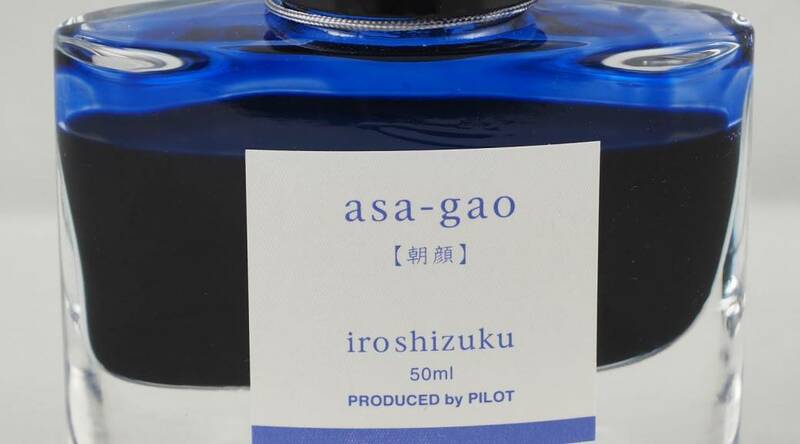 The second in this batch of ink reviews is for one of my favourite blue inks, Pilot Iroshizuku Asa-Gao. 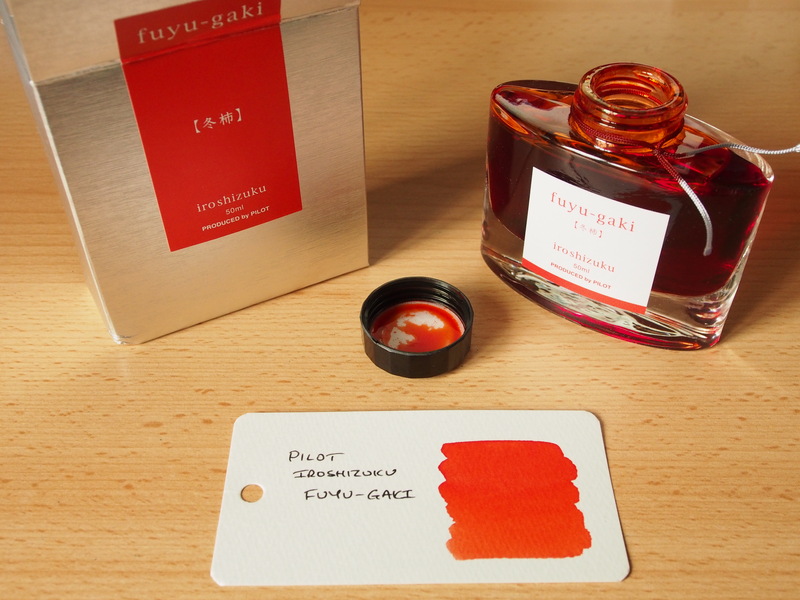 The subject of the second review is Pilot Iroshizuku Fuyu-Gaki. No great backstory on this one, but I had also seen a number of positive reviews of this ink. In general, the Iroshizuku line is well-regarded. 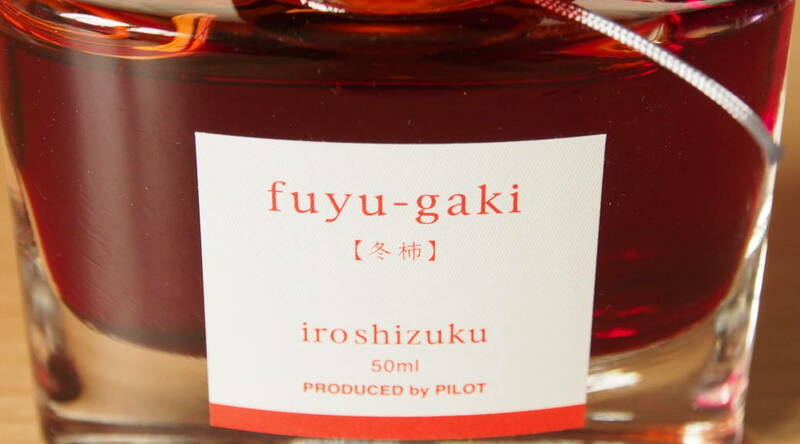 Most UK retailers charge £25 – £30 per 50ml bottle, which normally put the ink in the “luxury” category. 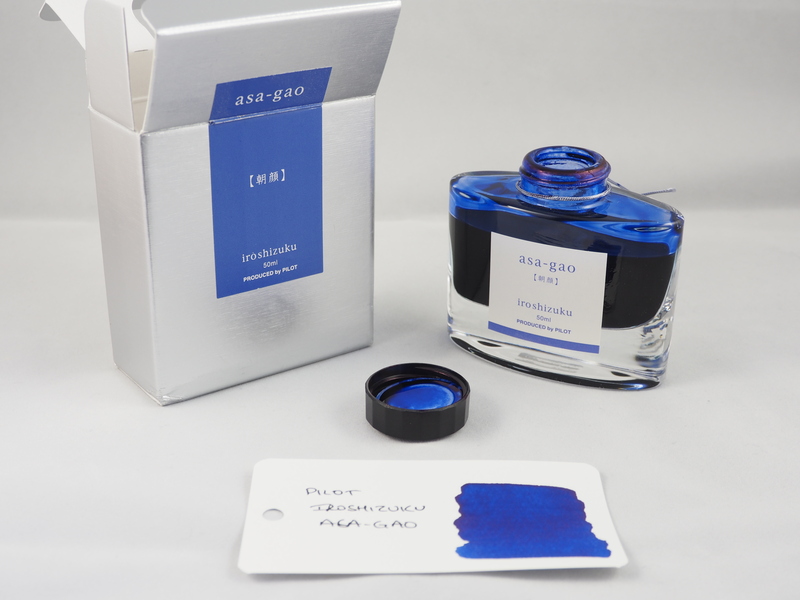 However, I bought this bottle from Amazon Marketplace for £12.68 – which I would consider puts this ink in the “mid price” range. The fact I can get a bottle sent all the way from Japan for roughly half the price I could but it in the UK could be the subject of a post in itself.